Polyoxometalate Chemistry continues a long-running series that describes recent advances in scientific research, in particular, in the field of inorganic chemistry. Several highly regarded experts, mostly from academia, contribute on specific topics. 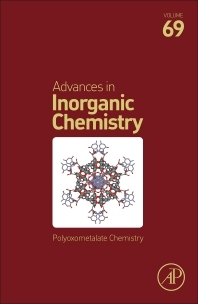 The current issue focuses on recent advances in the development and application of polyoxometalate complexes in areas such as solution chemistry, self-organization, solar fuels, non-aqueous chemistry, spintronics, nanoscience and catalysis.